Futsal: it might look like a simple game, but playing it well is far from easy. It takes a level of technical and tactical understanding that can take years to develop. Luckily, there are those out there who already have this knowledge and are generous enough to share it. 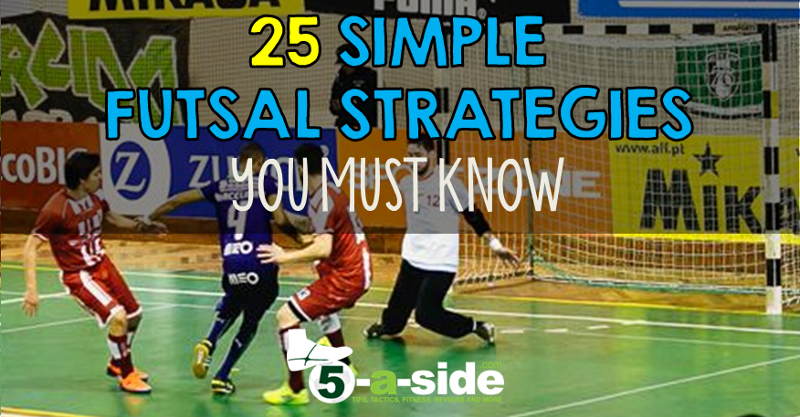 The following 25 tips for futsal have been put together by elite level futsal players and coaches (credits below), with decades of combined experience in the game. They’ve distilled down the complexity of the game into simple technical and tactical rules: 25 maxims that you can bank on making you a better player, and improving your team. Learn them, live them, love them. The 3 second rule: players must be on the move all the time when they don’t have the ball. When your team is attacking you should never stay in the same place without the ball for more than 3 seconds. In a game of 40 minutes you play for 4 minutes with the ball and 36 without it. To find space, occupy the space left free by a teammate. The player with the ball moves closer to the defender (to be able to go past him and force him to turn around), the players without the ball move away from their defenders (to create space and passing options). Help the player who has the ball. Sometimes this means getting closer; other times you need to move away. The aim, every time, is to create a clear passing line between you and your teammates. Never lose sight of the ball nor the eyes of the teammate who has it – sometimes it doesn’t matter if you move if your teammate has not even seen you. Pass and run – like the old motto: ‘pass and move’, but with an emphasis on the urgency of your movement. Be generous with your passing. The game is won by the TEAM who scores more goals; not the player who scores more goals. Separate where you look from where you pass. Do not make obvious passes. Use the element of disguise. Futsal is a sport for “liars”. Good players make it more difficult for the opposition to read them by performing feints when they’re passing, and checking away from their markers before moving in the other direction and losing their marker. (See an example of Sean Garnier do it in his tips for futsal – see tip 2 on his list). Passes must be strong but not carelessly violent. A firm pass doesn’t give defenders any unnecessary time to intercept it, or to close the space on the player receiving it. 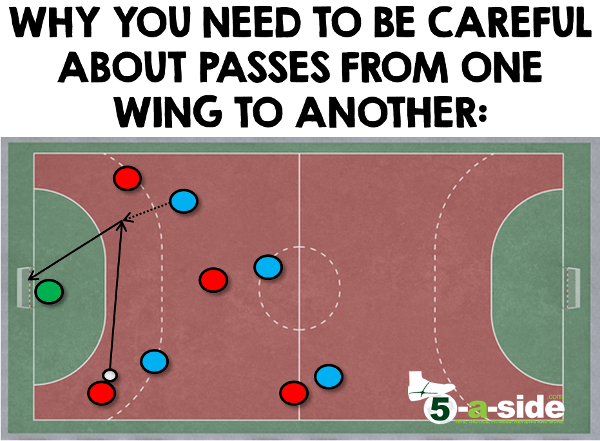 Be careful with passes from one wing to another when playing close to your own goal, near the “D”. If they’re intercepted they’ll lead to an easy chance for the opposition. The rule of 5 passes. Patience is often needed in futsal. Where the opponents are set-up behind the ball in a defensive position, expect to pass the ball at least 5 times before shooting to disorganise them. The goalkeeper must know how to deal with the tempo of the game. When their team is losing, goalkeepers should play as quick as possible, but in a winning position they should take their time with the restarts and their throws. The backman or “fix” (or any player for that matter) never dribbles if he is the last man, because if he loses the ball it will be a 1 v 1 against the goalkeeper. Finish the play with a strong shot to avoid a counterattack. A weakly struck shot ends up in the goalkeepers arms and can quickly put the opponents on the front foot. Aggressiveness: a ball is never given up; fight for every single one. Defending is more about attitude than technique. Players have to want to steal the ball with everything they’ve got and try to be the best defender in the team. Strength in the tackle. Tackle the ball like you mean it but not violently. Do not allow the player with the ball to think. Continuously annoy / disrupt the opponent but without trying to steal the ball, unless they lose control of it. Never lose sight of the ball or the eyes of the player who has it. Exactly the same tip as no.6, but equally crucial in defense. The wing (sideline) is one more defender. Direct the opposition player with the ball towards it. There is no rest when defending and no player should adopt an upright position / stance, as the opposition will exploit the tiniest mistake to score. All players must defend behind the ball. When you haven’t got the ball all players get back to defend, and all of them should be behind the ball, making it difficult for the opposition to break you down. Never cross over in defence. Talk to each other and change the players being marked. The above list has been reproduced (with small amendments) from “FUTSAL: Technical & Tactical Concepts” by Dr. Daniel Berdejo-del-Fresno, Jonathan Steel and David Jennings. This has been done with the permission of Dr. Daniel Berdejo-del-Fresno, who, among a host of achievements, is Sports Scientist / Strength & Conditioning Coach for the England National Futsal Team and has plenty of experience with elite level futsal players. Daniel has generously made his book available free for download on his blog: http://danielberdejodelfresno.blogspot.co.uk/2015/06/book-released-futsal-technical-tactical.html It contains lots of futsal tips, techniques and tactics – definitely worth downloading a copy. 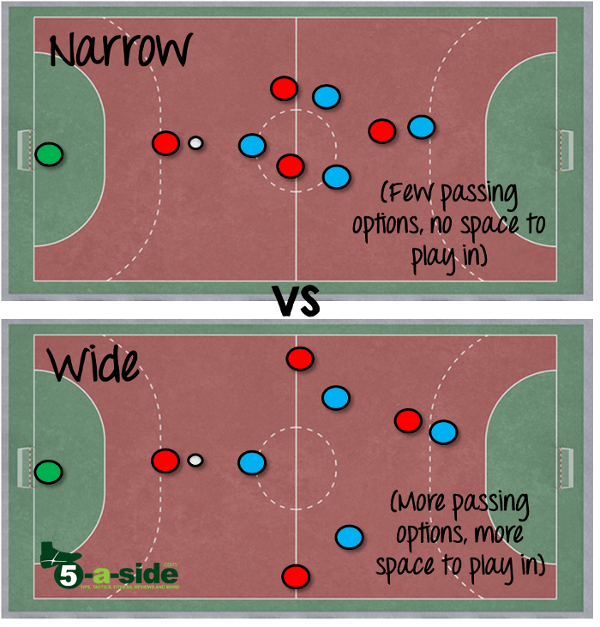 If you’re just starting out on your futsal journey, and you’re craving more tips. Check out our top 10 tips for futsal beginners. Full of very practical tips, it is a useful crib sheet for anyone new to the game. Great list. No.2 is my favourite – the 3 second rule. I love the simple idea of it. If you’re standing still for 3 seconds, it’s too damn long! 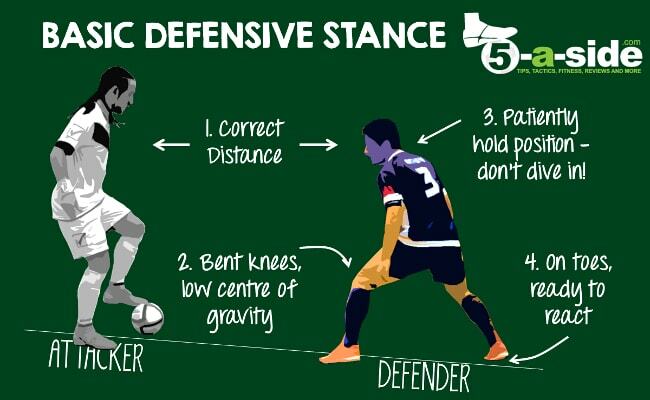 It keeps people moving, which is the only way to create space and disrupt the defense. I’m going to keep that in mind next time we play. Thanks Adam, I’m glad you like it. I agree, the 3 second rule is a great one and one that I personally try to use. If you can’t keep moving every 3 seconds, get a sub on that can – that’s my attitude.